Cissus quadrangularis is one of the many "rediscovered" herbal plants that have been used for centuries by many civilizations and countries. It is also known as Veldt Grape as it is a perennial plant from the grape family. 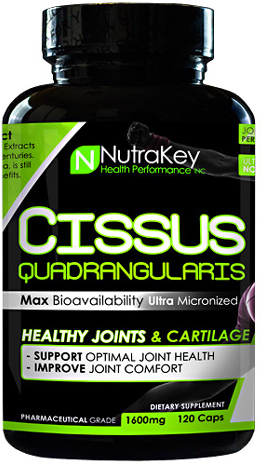 We consider cissus to be the most underrated type of anti-inflammatory joint supplement on this site. Many supplement companies are now promoting this herbal supplement for its various benefits, mainly joint relief and fat burning. However, before its rediscovery, the herb itself has long been in use in classical medicine. The use of the herb Cissus in supplements doesn't differ much from its use as an ayurvedic classical medicine herb. Many companies have extracted quantities of substances and standardized to give specific benefits. This has led to various extraction rates or percentages. There is no exact science or study yet that supports ketone percentages of Cissus Quadrangularis extracts and most data come from user input. Contains most of the substances in Cissus. It's closer to its use in traditional medicine. The main drawback to this is the undesirable taste behind after drinking powders or even pills. Many have experienced increase in joint health with this percentage. Ideally, at this range tissue repair is better. Targeting specific substances, at ketone percentage of Cissus, anabolism and fat loss are intensified. Highly selective extraction of specific substances will give various benefits. Many users commented that this extraction rate will leave out specific substances found in Cissus. The effects vary depending on what substance the company was aiming for. Most companies aim for anabolism and fat loss at these percentages. 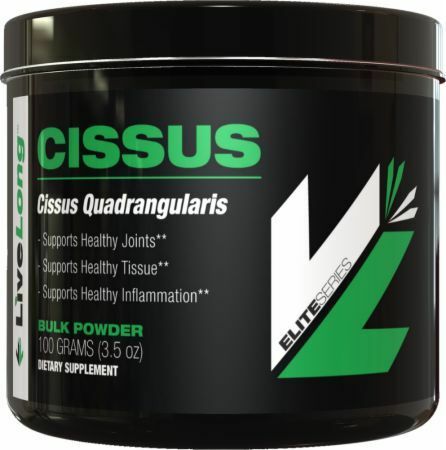 Cissus Quadrangularis - The most underrated joint supplement? This will cover the various benefits of the herb Cissus Quadrangularis at no percentage extraction to fully view how powerful the herb is. Used in Siddha Medicine, a tonic preparation of the herb gives an analgesic effect. It is capable to help relieve pain even from broken bones. This is mainly used by bodybuilders who put constant stress on their joints -- especially shoulders, wrists and knees -- but is beginning to take hold in mainstream joint relief as well. Our references section at the bottom of this document shows some supporting research for this. Aside from the traditional use of the herb, modern science has found several properties. Cissus quadrangularis has been found to be effective against the ulcer causing bacteria, Helicobacter Pylori. In conjunction with NSAID therapy, participants have experience relief from ulcer. 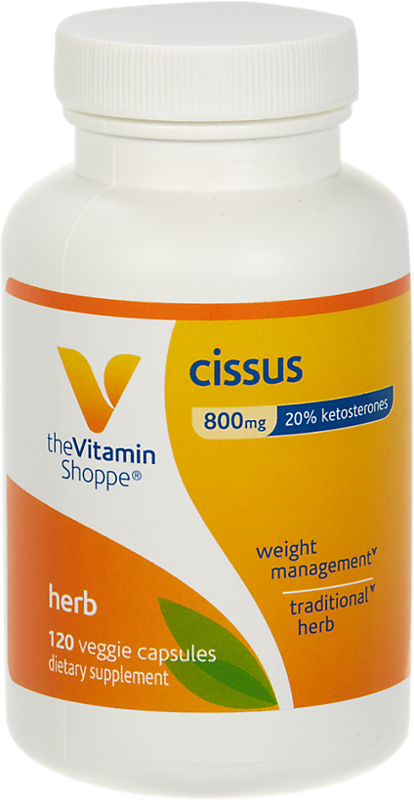 At a ketone percentage of 10%, studies have shown that Cissus activates anabolism and fat burning. The studies showed that Cissus worked by as much as 100% weight loss to that of placebo effect making the herb a possible clinical supplement or agent for weight loss. Current studies have shown that doses up to 2 grams per kilogram of bodyweight did not show any signs of adverse side effects. However, more studies have to be done to validate this. One possible side effect postulated by several doctors is the possible NSAID side effect of Cissus similar to medications like ibuprofen and aspirin. If you're planning to take the herb supplement for a long period, monitor yourself for any gastrointestinal upset or symptoms similar to gastroenteritis. Some sources have found that chronic use may cause elevated testosterone levels. This might be a good side effect for some but this also means that users might have to cycle their stimulant stack earlier than expected to avoid adrenal fatigue. Due to its qualities and benefits, it's highly possible that Cissus may interact with a lot of prescription drugs. Before taking this supplement, it is highly recommended that you consult a doctor. This herb should also be avoided by pregnant or lactating women and kept away from children. This is a powerful herb that can illicit various benefits and effects depending on its preparation. When taking supplements with this herb, do note the possible ketone percentage and note its effects on your body. Overall, we are major fans of this naturally occurring supplement, and recommend its use, especially for joint relief. Cissus Quadrangularis is available as an ingredient in supplements or a standalone supplement that can be added to your stack. With judicious use and daily monitoring, this herb can give you a lot of benefits without side effects. What is the Standard Dosage? You should always start by following the label's directions. The typical recommended daily dosage of cissus depends on what form you have. Some recommend that you take 500 - 1,000 mg of cissus extract twice a day, but it depends on the concentration of the extract. As always, consult your doctor before beginning any diet and/or supplementation program, as these statements are not approved by the FDA. We are not doctors on this site. 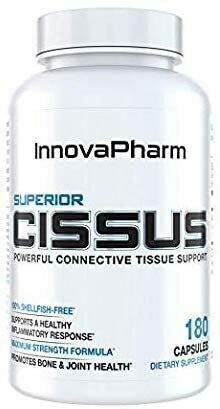 What is the Best Cissus Product? 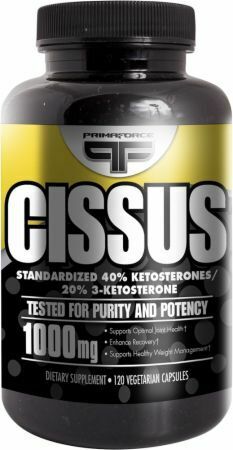 If you're trying to get the most bang for your buck, there are several powders, such as Primaforce Cissus. However, due to the supremely nasty taste and nuisance of use, we recommend capsules. 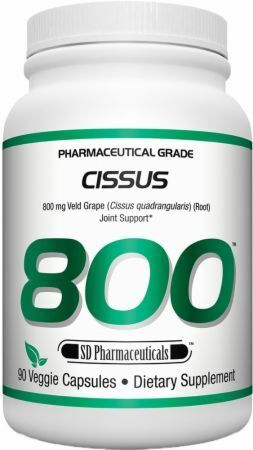 Our favorite capsule products are SNS' Cissus XT and USPLabs Super Cissus, which has a patented extraction technology that works great for joint relief. 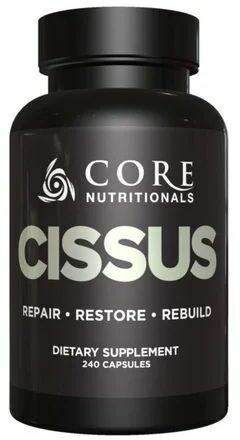 USPLabs' CEO is solely responsible for Cissus' popularity as a joint supplement - stick with the standard. Fun Facts on Cissus: It is also known as Devil's backbone in reference to its shape and size. Mallika Jainu, C.S. Shyamala Devi, "In vitro and In vivo evaluation of free radical scavenging potential of Cissus quadrangularis"
Mallika Jainu, K. Vijai Mohan, C.S. Shyamala Devi, , "Protective effect of Cissus quadrangularis on neutrophil mediated tissue injury induced by aspirin in rats"
Greenway FL, Bray GA., "Combination drugs for treating obesity." SHIRWAIKAR Annie, KHAN Saleemulla, MALINI S., "Antiosteoporotic effect of ethanol extract of Cissus quadrangularis Linn. on ovariectomized rat"
Oben JE, Ngondi JL, Momo CN, Agbor GA, Sobgui CS., "The use of a Cissus quadrangularis/Irvingia gabonensis combination in the management of weight loss: a double-blind placebo-controlled study." GS Mate, NS Naikwade, CS Magdum, AA Chowki, SB Patil, "Evaluation of anti-nociceptive activity of Cissus quadrangularis on albino mice"
Julius Oben, Dieudonne Kuate, Xavio Talla et. Al., "The use of a Cissus quadrangularis formulation in the management of weight loss and metabolic syndrome"
Core Nutritionals Cissus was created. 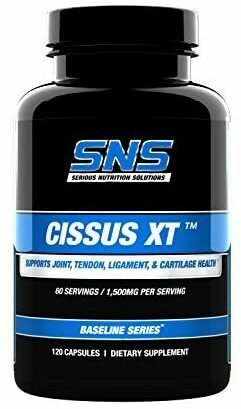 SNS Cissus XT is a premium quality extract of Cissus Quadrangularis to put a stop to joint pain and inflammation. Fixation is the new supplement from Magnum Nutraceuticals that supports joint and muscle recovery. Great combination of natural anti-inflammatories! GenoFlex by PEScience – New Joint Support Formula is Here! PES GenoFlex is an all new joint support formula that will be released in the near future. Stay tuned for the GenoFlex ingredients on PricePlow! Sign up for future Cissus Quadrangulari news! Click the button below to sign up for future Cissus Quadrangulari news, deals, coupons, and reviews! Sign up for future Cissus Quadrangulari deals and coupons! Click the button below to sign up for future Cissus Quadrangulari deals, news, and coupons! $18.94 This is a Buy 1 Get 1 FREE offer!